Since it began we’ve seen it grow each week. The community that has built up supports each other, just like a family. Everyone who comes to the coffee morning goes out saying “this is different”. There are all sorts of activities that have begun happening from dominoes and puzzles to craft and exercise. People are free to join in with anything on offer or to just sit and have a natter. On the third Tuesday of the month we have an audiology clinic that can be accessed by anyone in the community. 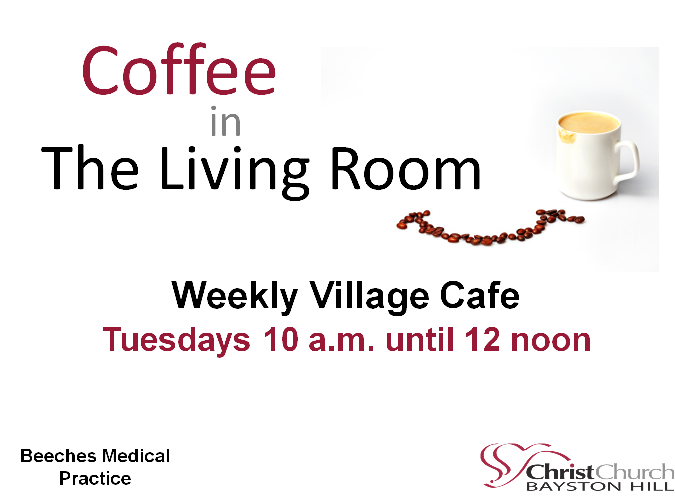 Coffee in the Living Room meets every Tuesday in Term Time between 10 am and 12 pm. Everybody is most welcome – the cakes are awesome and the company’s not bad either!